First the forward Head (bathroom) and Chain Locker. The areas that aren’t painted are where the floor of the chain locker in the very front, and the storage just behind that, and vertically, the walls that have to be installed. The foreground is the Head. To the left (port side) is the sink and to the right and a locker (closet) on the right (starboard side). And the Forward Berthing…the area not painted is where the mast Riser will go. Also, there was a bit there where the fiberglass separated when I was taking out the old floor stringers. 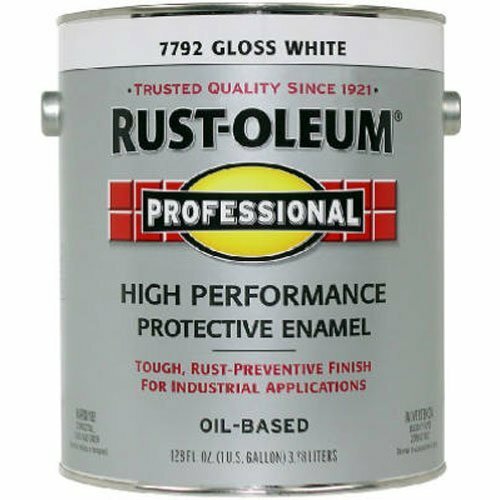 I used about 5 coats of this to make sure the bilge is protected from water, chemicals, etc. There are specific products for painting the bilge but by all accounts this is just as good and slightly cheaper. The big box hardware stores carry this so I could just work a gallon at a time without having to estimate and end up with leftovers. The forward cabin took 2 gallons.